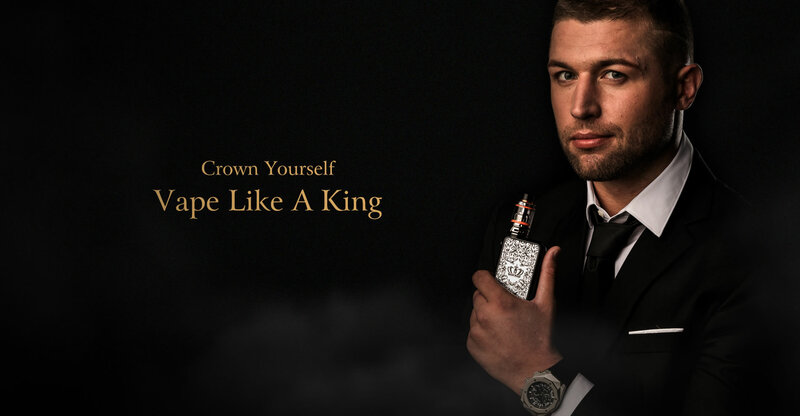 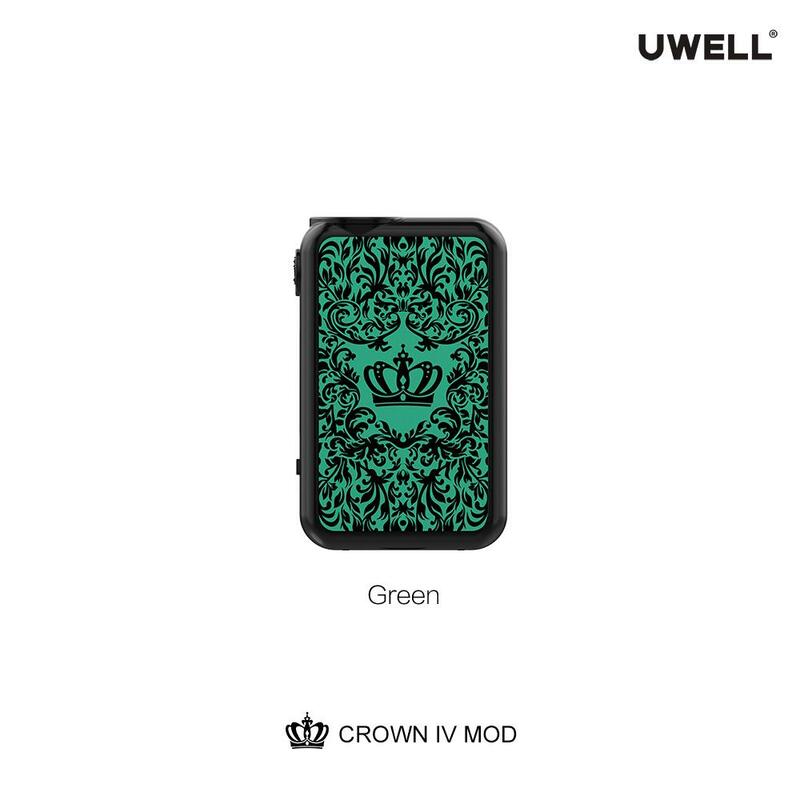 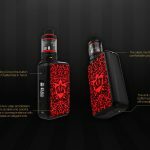 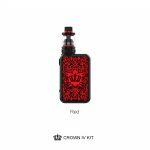 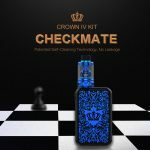 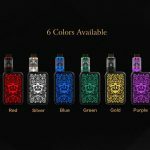 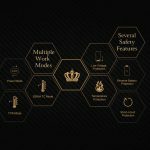 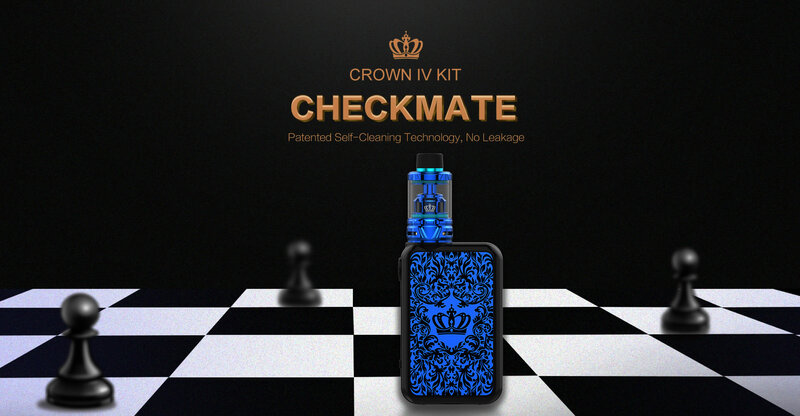 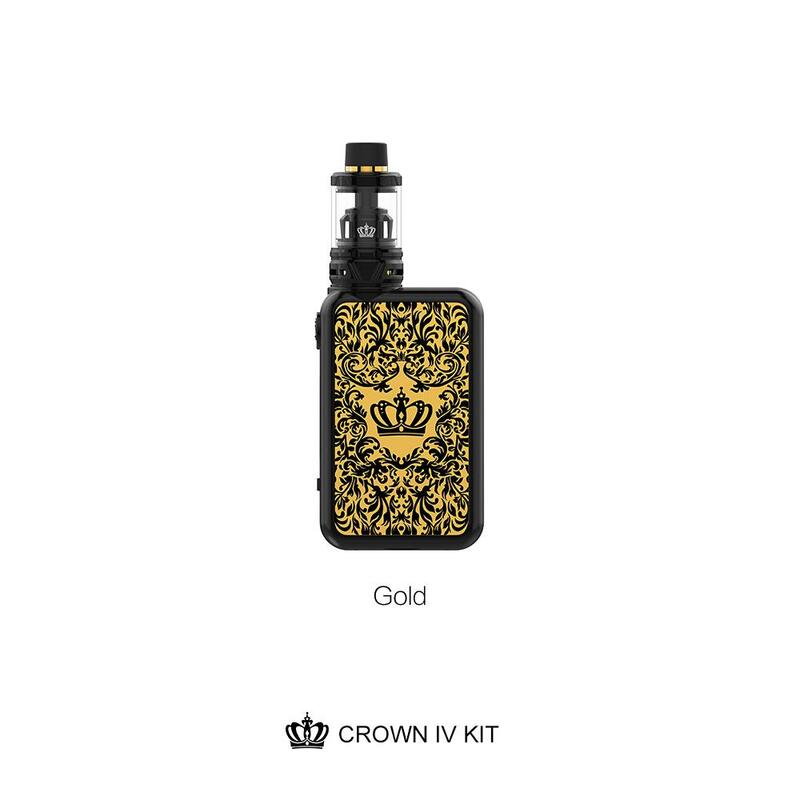 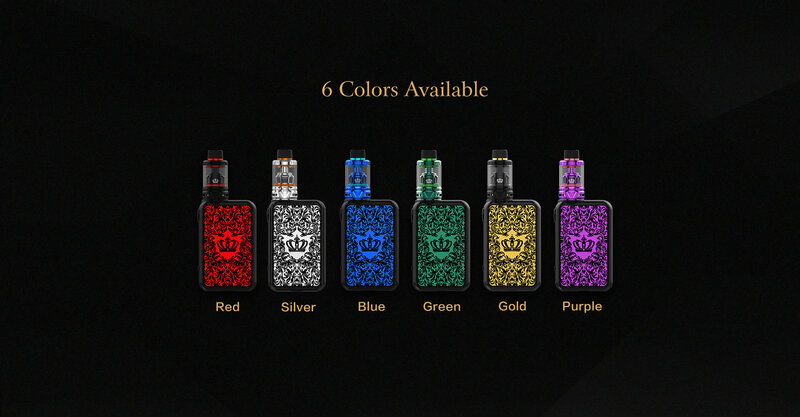 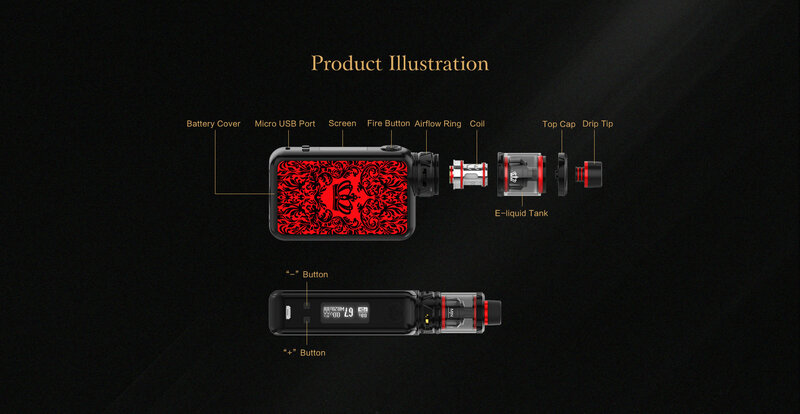 The Crown 4 is available as a box mod or full kit with tank. The mod features a sleek frame with baroque patterns, an anti-slip bottom, a new circuit board, a leak proof 510, dual 18650 batteries, multiple work modes and 200 watts of power. 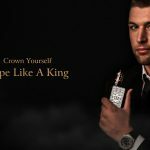 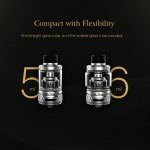 The Crown 4 tank features a 6ml juice capacity, double helix mesh coils for massive vapor with flavor, effortless refills and dual bottom adjustable airflow. In the design department, the mod is made from zinc alloy for a comfortable grip and is built on both sides with panel that have gone thru a two step anodization process. Each panel also features baroque patterns of which the background has color options of red, silver, blue, green, gold or purple. 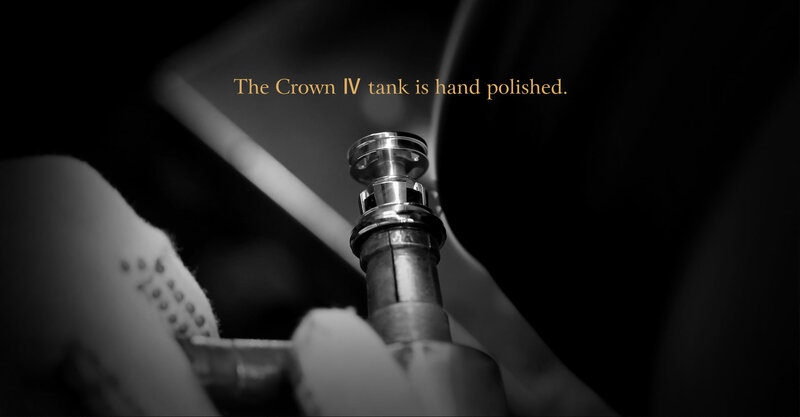 The bottom is constructed with silicone so it won’t slip or easily wear out. 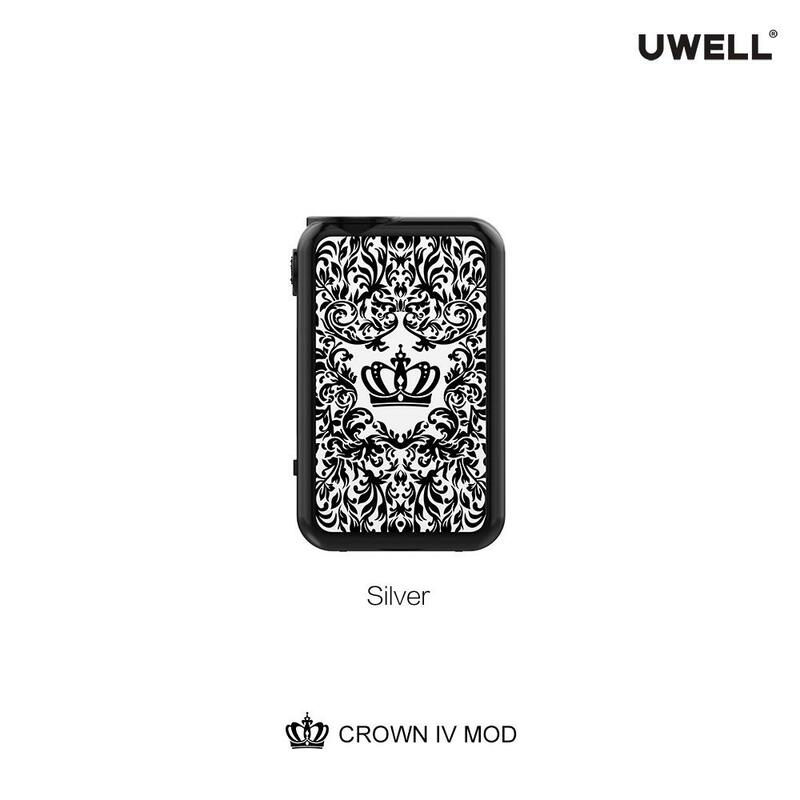 On the control face, you will see a protruding fire button that is easy to push and is made with a Crown logo. Underneath, there is a display screen with horizontal menu and on the bottom a micro USB charging port to recharge the dual 18650 cells that power the Crown 4 Box Mod. 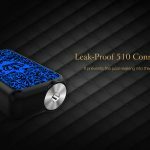 On top, there is a leak proof 510 connector that will prevent juice from leaking into the mod. 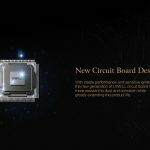 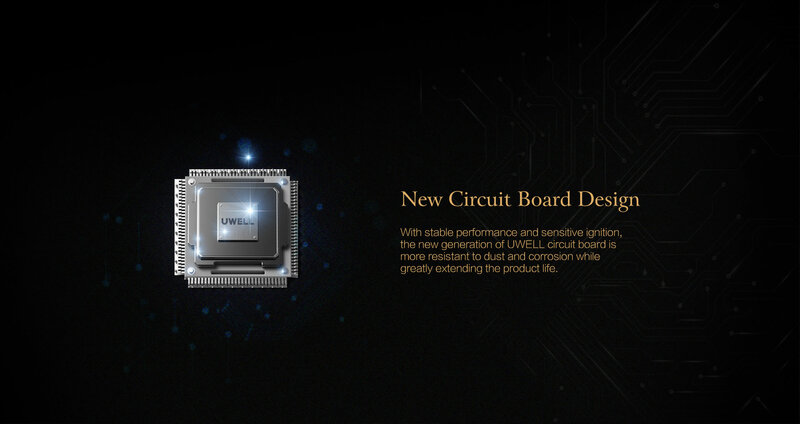 In the technical department, the device is made with the latest PCBA circuit board by Uwell. 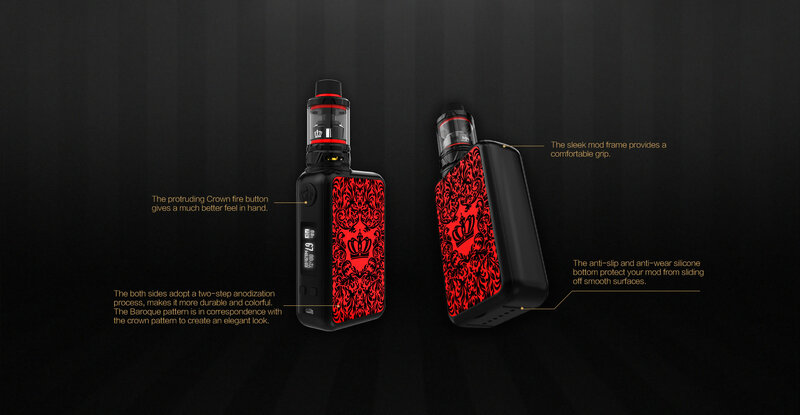 In this way, the device features fast firing with up to 200 watts of power. 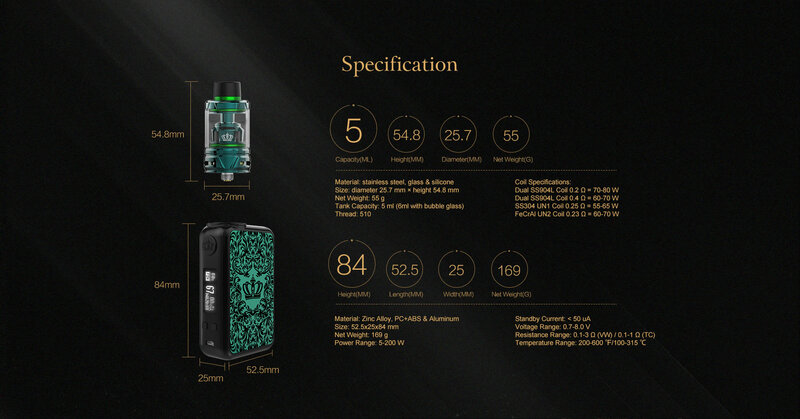 And, there are multiple working modes including power, temperature control and TCR. 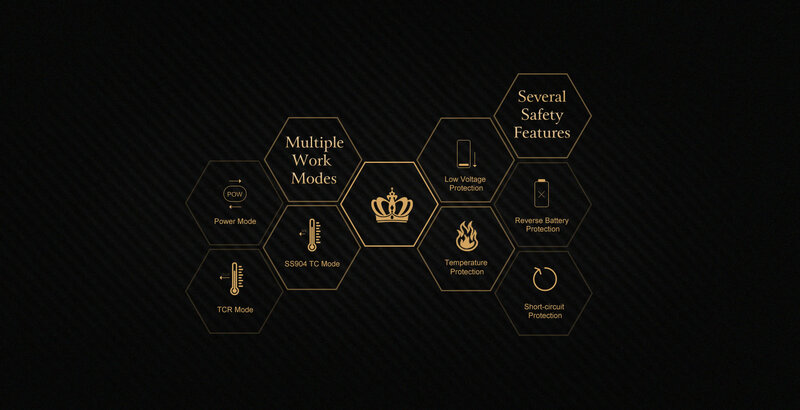 Several safety features also prevent low voltage, high temperature, reverse polarity and short circuits. 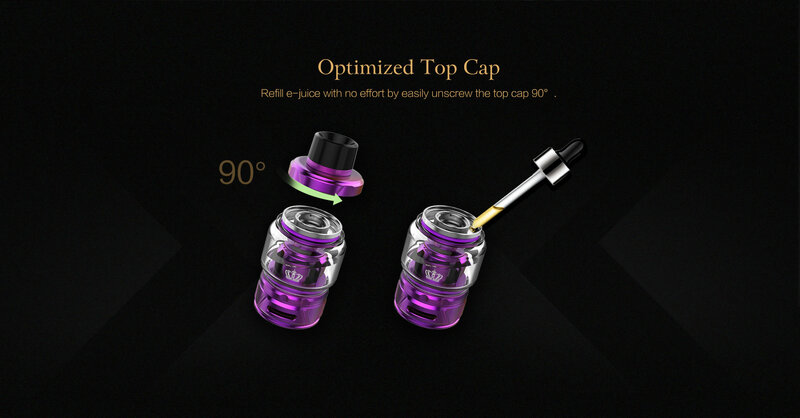 With purchase you will receive 2 tank section. 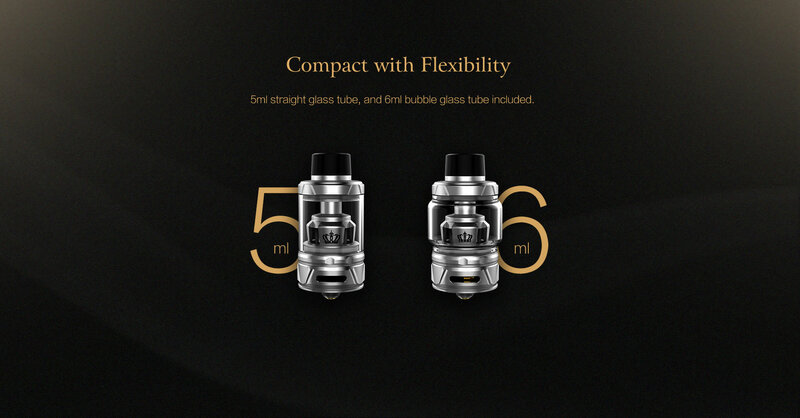 The first is the standard 5ml tube which does not protrude or you may prefer the larger 6ml bulb one for loner vape times. 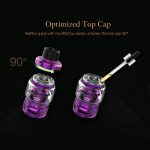 Refills are a breeze and are done by twisting the top cap 90 degrees to release it which exposes a large filling slot that spans the circumference of the atomizer. Airflow can be adjusted to your liking by changing the size of two bottom air inlets. 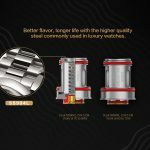 This air circulation system works in perfect combination with the Crown 4’s latest Helix mesh coils that produce exquisite flavor and massive vapor. 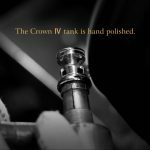 The heads will also last longer due to their quality steel construction. 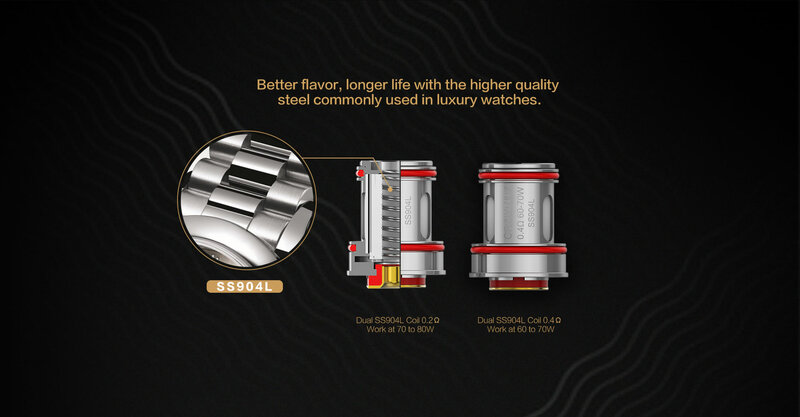 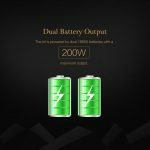 With purchase, you will receive a Dual SS904L coil that has a 0.2ohm resistance rating and works in the range of 70 to 80 watts. 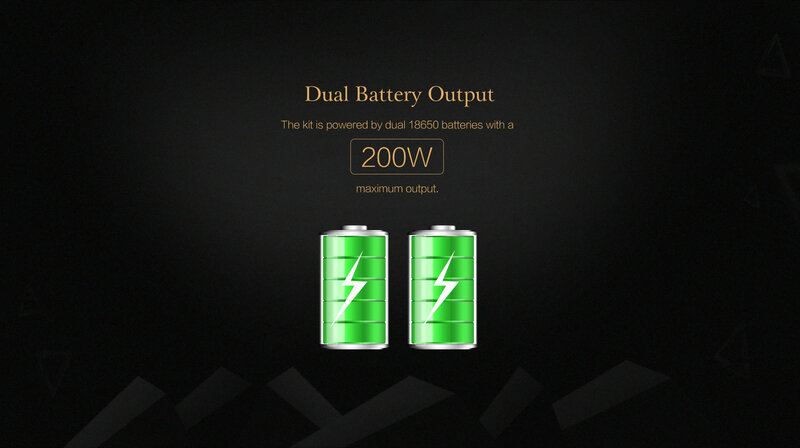 Also included with purchase, there is a 0.4ohm version of the SS904L that should be fired between 60 and 70 watts.